Hi guys, I’m going to share here about my Chali trip in Shimla on this summer vacation which is located at the altitude of 2,150 meters, Chail is mainly known as a paradise for honeymooners or couples. 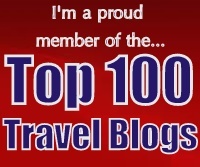 Its popularity shoots from the fact that it is an-all weather traveller endpoint. We were five colleague friends and planned to visit Chali, Shimla. We had decided to visit Chali because we had never visited Chali before. We went there by bus from Delhi which bus goes to direct Shimla from Delhi. After that we boarded another bus from Chali which runs from Shimla to Chali, It was around 40 km from Shimla and it took two hours to reach there. Moreover, we had booked “Hotel Chail Residency” in advance for one night and two days. Hotel was so beautiful and their services were remarkable. Chail was built as the summer capital – Being surrounded by thick cover of dense, majestic, soaring deodars; it is just 45 km away and most significantly from Shimla the capital of Himachal Pradesh, the hill of Chail, decidedly higher than the then British well-ordered Shimla. It had made a thought-provoking story. In 1891, Maharaja Bhupinder Singh, the Maharaja of Patiala, built Chail, when he was displaced from Shimla and decided to create his own summer capital, which was Chail. This picturesque hill station, located amidst scented forests of chir pine and titanic deodars, is built among three hills station. The palace on the Rajgarh Hill Station – The Residency Snow View that was occupied by the British residents on Pandhewa Hill and on the third existence the Sadh Tiba hill. Overlooking Satluj Valley, Shimla and Kasauli are also visible at night from here which is pretty well. Indeed! Chail, a tiny village very close to Shimla city, was a piece of heaven. 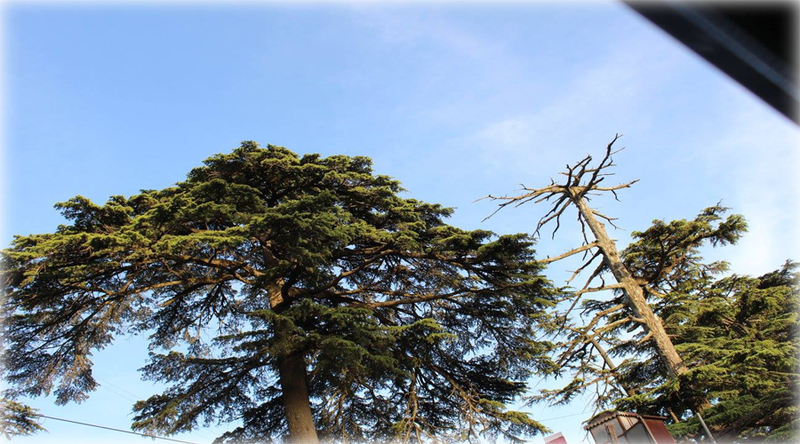 It was perfect surrounded by splendid deodar forests and also in close locality of Shimla. Moreover the hill of Chail at 2226 meters was somewhat higher than British-controlled Shimla, this definitely fulfilled the ego of the King and he started developing Chail according to his own needs. This small village also claims of the world’s highest cricket ground that had been built by the Maharaja himself who was great supporter of the game. Nature is at her cheerful in Chail. The splendid snowcapped Shivalik peaks, the beautiful orchards and sylvan pine valleys enclosed by Deodar forests and crisp air. The River Sutlej which takes twists and turns and the valley beneath offers a breathtaking view form the hills of Chail. Chail is really enchanting and the views for travellers. Chail is a small homestead where the nature has showered with all its beauties, where time stands still and romance is in air as I highly recommend for coupes or honeymooners who are newly married. Everybody must visit once in the whole life. Location: Chali is very close to Shimla just like that nearly 45kms from Shimla, this minor town is suppressed between the Shivalik hills and is scarcely seven to eight hours distance from the countrywide capital of Delhi. 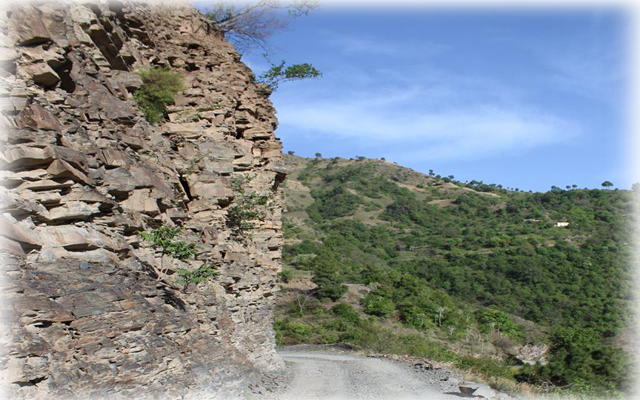 If you are on Chali trip, I’d like to suggest you that visit virgin mountainous heaven as the virgin mountainous heaven are truly a honeymooner’s paradise. Chail cricket ground is well-known for the world’s highest cricket ground 7500 feet’s which was built during British reign. 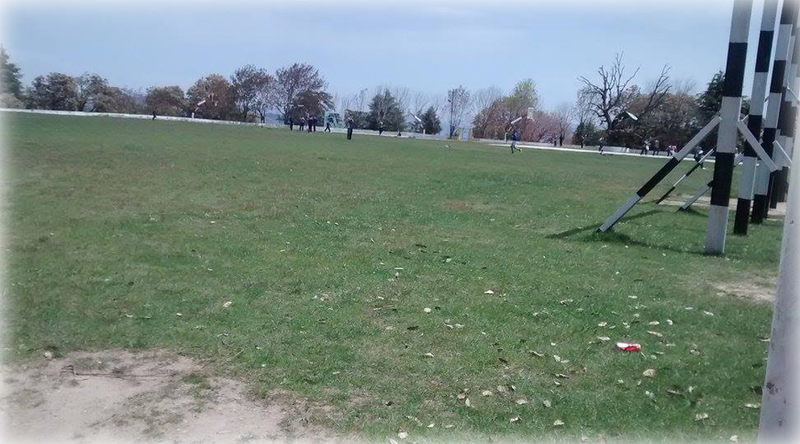 But this cricket ground was leveled by Maharaja Bhubinder Singh to build his summer capital. We took a pic of this ground at the very close distance, you can see here. The view of the ground from higher point is marvelous and highly recommended. The dimension of the ground at such great altitude and challenging milestone is a great achievement and worth all the adoration. This Sanctuary shields an area of about 10, 854.36 hectares. It is home to many species of plants and animals. Some of the plants, we had captured on my trip that was displayed in the above image. Some of the animals found there such as: Ghoral, Kakkar, Sambhar, Red Jungle Fowl & more. The military school is located in the house that was also built and donated by Maharaja Bhubinder Singh. They displayed an old world’s charm. It was definitely worth paying a visit. We visited in the Chali Military School and did enjoy lot. We had noticed while we are wondering entire Chali that Chail is a serene and beautiful place with mountains and trees everywhere we went. It can be a right place for trekkers. Fishing is another entertainment there for adventure lovers. Chail by Air: The nearest airport to Chail is 63 km away. The airport name is Jabbar Hati Airport. There are domestic airlines flying from this airport to Chandigarh, Delhi and Mumbai. For the overseas travellers – Delhi and Mumbai are well connected to reach there. Chail by Rail: Kalka is the nearest railway station at a distance of 86 km. The next station is very close by Chandigarh at a distance of 95 km. Chandigarh is well-connected with many major cities in the country just like Delhi, Haryana. Chail by Road: There are local buses available for Chali that manages the distance to the neighboring cities. Anyone can reach Shimla by bus from all the major cities like Delhi, Punjab, Uttar Pradesh, Rajasthan, Uttarakhand. There are bus services from Shimla to Chail which is at a distance of 45km on cheap bus tickets. Kufri: Kufri is well-known for the hill stations and ice peak. Kufri welcomes for family, couples and kids. It is very zigzag place. To reach Kufri point, we have to either walk or climb on horse. The roads are much muddy and stinking. Thus, if anybody wants to visit there must care of all about things. Sadhupul: Halfway between Kandaghat and Chail is the tiny village of Sadhupul, and the bridge over the Ashwani stream, a popular picnic – spot. As we had taken information about climate of Chali by local guys, they shared with us that since it is a sub Himalayan range, the weather is enjoyable throughout the year. Of the difference hill stations in India, this one is considered much popular because of the peacefulness and the calm environment that is perfect to relax the soul and body. The summers are exquisite in Chail. They also shared that it is best for the tourists to visit Chail in summer months from March to August when the temperature is only 26’C maximized. Chail and its nearby areas is a delight for vacationers in every season. But especially it is charming only in summer vacation, also in the winter season it is not less than paradise. Everything about this place is as picture-perfect as excellence can possibly be. The air blows crunchy here.